Undergoing surgery is no small feat. From the removal of an appendix to brain surgery, there are anticipated risks involved. These are acknowledged and patient consent if often acquired before the surgery. 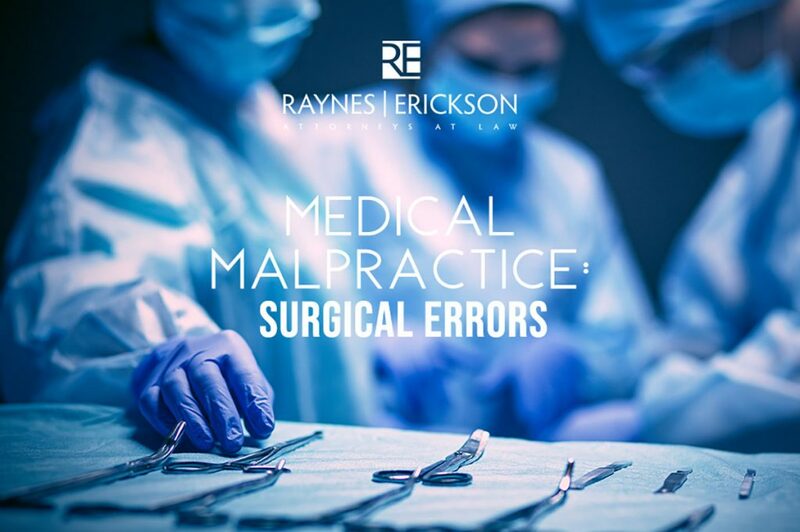 However, a preventable mistake that strays from the known risks of the procedure may be considered malpractice. In this case, it is essential that a patient reach out for legal guidance. These examples of negligence on the part of the physician, as well as many others, are legally intolerable. At Raynes and Erickson Law Firm, we are prepared to defend your case in the instance of negligent medical practices. Receiving any surgical procedure can be an intimidating experience- one that does not welcome any extra complication. However, upon the occurrence that a surgical error takes place and you or a loved one is harmed, we encourage that you consider seeking legal advisement. Confronting medical malpractice is challenging and exceptionally complicated. Please, call us with your concerns regarding a surgical error.